Traveling solo has its perks. For starters, you can do what you want when you want. The moment you step off the plane, you’re free to roam. But this adventurous high can quickly fade–like the times you want to take a photo or go out to dinner with someone. On top of this feeling, there’s the issue of orienting yourself to a new place. When you’ve landed, you often have questions. Staying at a hostel or with a local guide can provide you with some insights, but when you don’t have those resources, it’s easy to feel lost. I faced some of these issues earlier this year when I took my first trip to Bali. I had a lot of questions and wanted to prepare myself beforehand. I went online to figure out what transportation was like there. The search results I found weren’t helpful and the friends I asked couldn’t provide any clear answers either. It felt like I was trying to look at a map through a brick wall. Fortunately, more and more networks are popping up to help you connect with locals and fellow travelers–even before you land in your next destination. Aside from social networks like Facebook and Meetup, there are new apps worth checking out that can help you navigate new destinations. Learn about a few of them below! Imagine if you could combine your Facebook feed, Foursquare, and Google Maps into one app, well that’s Tripwire. This app allows you to compare your travel plans with friends and get alerts whenever you cross paths. The best part about it is that if someone asks a question about a city you’re in, you’ll get an alert to answer the question. I’ve found this to be useful for anyone looking for suggestions from fellow travelers or for showing friends your next travel destination. Booking a plane ticket and finding a hotel is easy, but what do you do when you have questions about bigger issues–like finding a doctor or purchasing a SIM card? These are questions that Chameleon aims to answer. This upcoming app is a 24/7 city concierge powered by locals. The weirdest question the team has received to date is, “Where can I get a bikini wax and my dreadlocks curled?” So, if you have these kinds of questions while traveling Chameleon has the answer! The app is currently only available in Hanoi and Saigon, you can sign-up for alerts when it launches in other parts of Southeast Asia. Not available on IOS or Android yet. Every female traveler knows what it’s like to be plagued by questions about safety abroad. Sometimes you just want shrug off these concerns and connect with women who understand your love for travel. 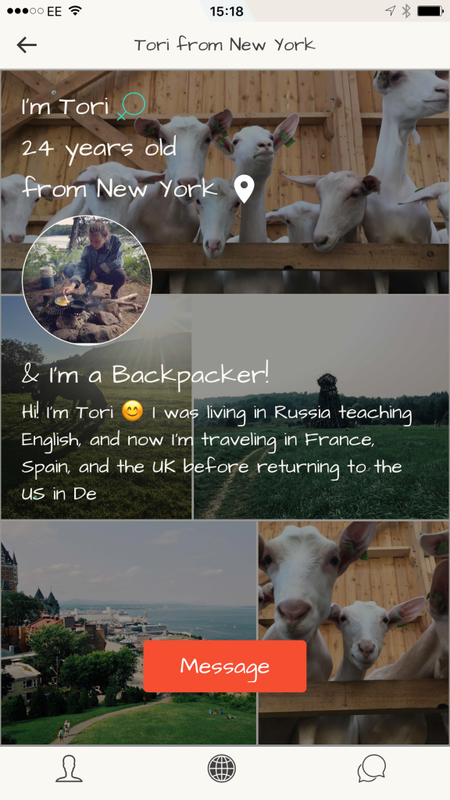 Two upcoming apps are trying to bring solo female travelers together: Tourlina and Bungee Girl. Tourlina is like the Bumble BFF of travel–you swipe to connect. In hindsight, it seems like a weird feature, but if you’re looking for a travel buddy this is an option! Bungee Girl, on the other hand, connects women who want to visit each other’s city or live in the same city and want to travel together. The interface isn’t the best, but it has a fun profile feature. Have you tried these apps? Share your insights in the comments section or recommend others that you've used.